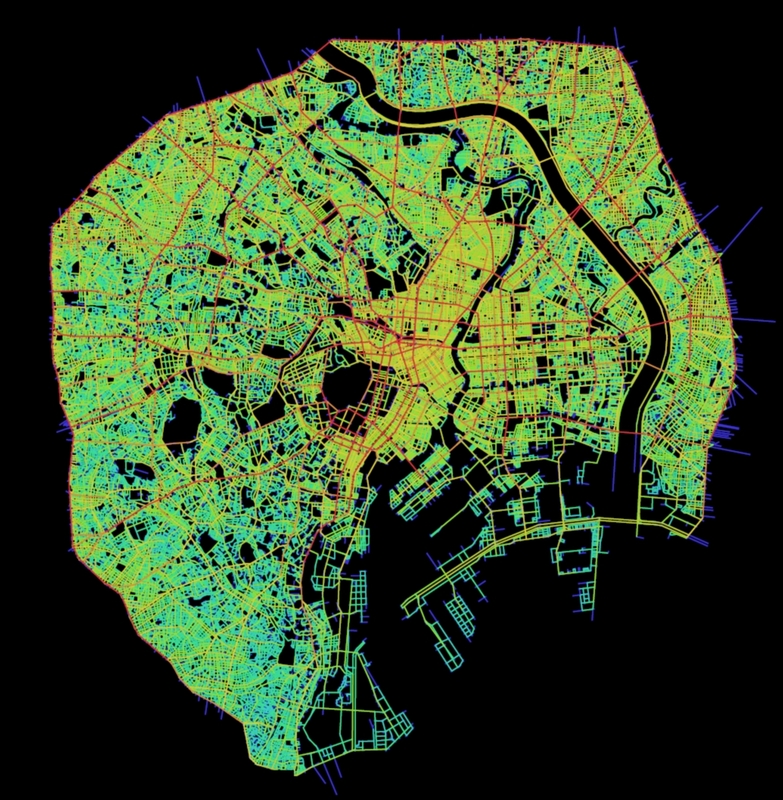 A spatial map of Tokyo, from a 2012 presentation given by Dr Kerstin Sailer of UCL (HERE). Caption: Tokyo with its fairly strong centre, strong radials and strong laterals, generating the strong sub-city structure characteristic of Tokyo. Image Copyright Bill Hillier et al.